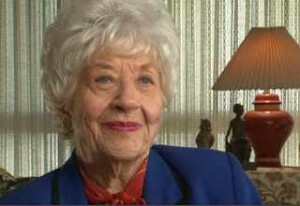 Charlotte Rae, familiar to millions of TV viewers as the housemother on the '80s sitcom The Facts of Life, was diagnosed in 2009 with pancreatic cancer, an often-silent killer with few if any symptoms until it is too late. Some 40,000 new cases of pancreatic cancer are diagnosed each year, and by the time diagnosis is made, up to 80 percent of patients are no longer candidates for treatment. "I had no symptoms," Rae says. "I had absolutely no symptoms. None whatsoever." But Rae was, in a way, lucky. Because she had a family history of the disease - her mother, uncle and older sister all died from the disease - she underwent early screening, which detected the cancer at an early stage. "We're working hard to develop tests for earlier diagnosis," says Dr. Howard Reber, M.D., director of the UCLA Pancreatic Cancer Program. The goal is to create something similar to the PSA test now done to detect prostate cancer in its early stages, before it has had a chance to spread. "In patients where we know that there's an increased likelihood of the development of the disease, we can screen them, we can get CT scans, we can get endoscopic ultrasounds," Dr. Reber says. In Rae's case, the cancer was detected and found to be contained, but it was growing fast. Surgery was performed to remove the cancer, and now, following surgery and chemotherapy, Rae is cancer free.